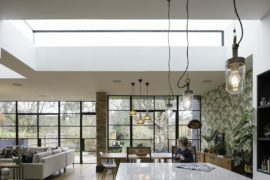 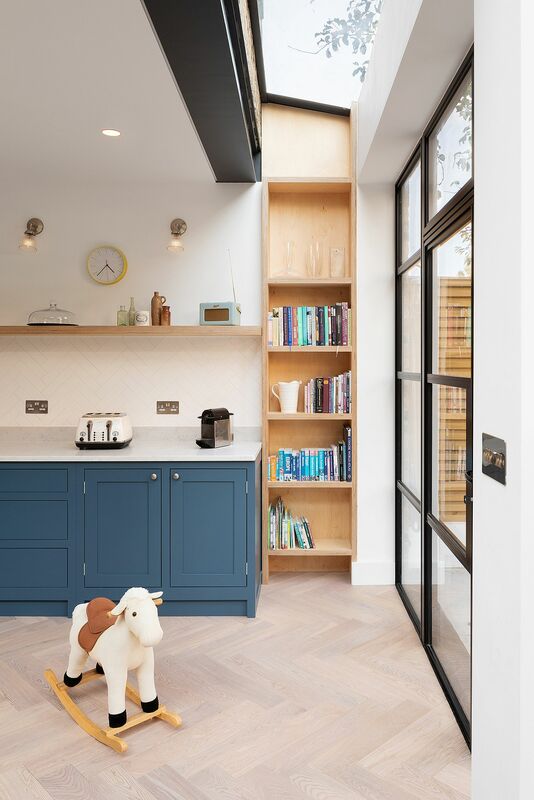 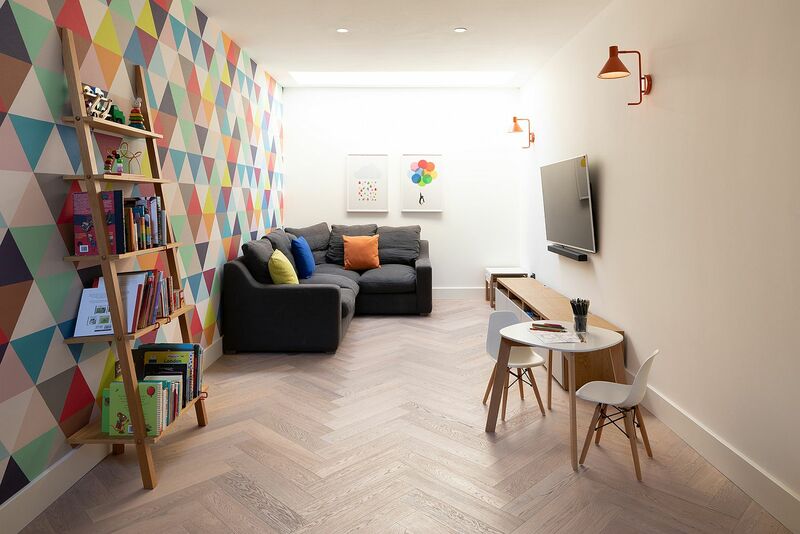 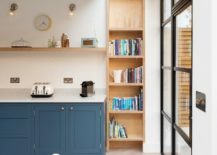 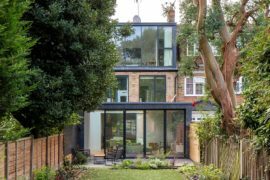 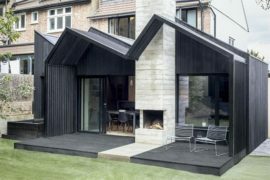 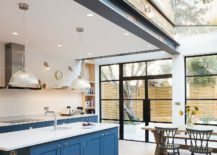 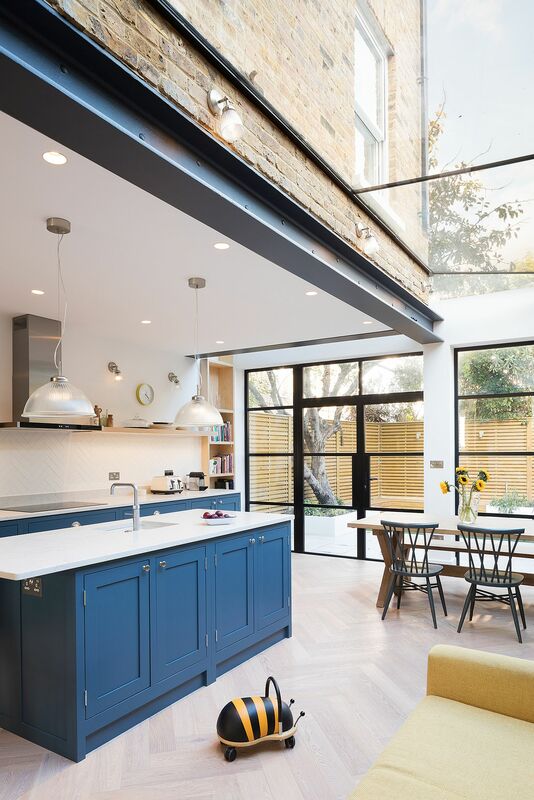 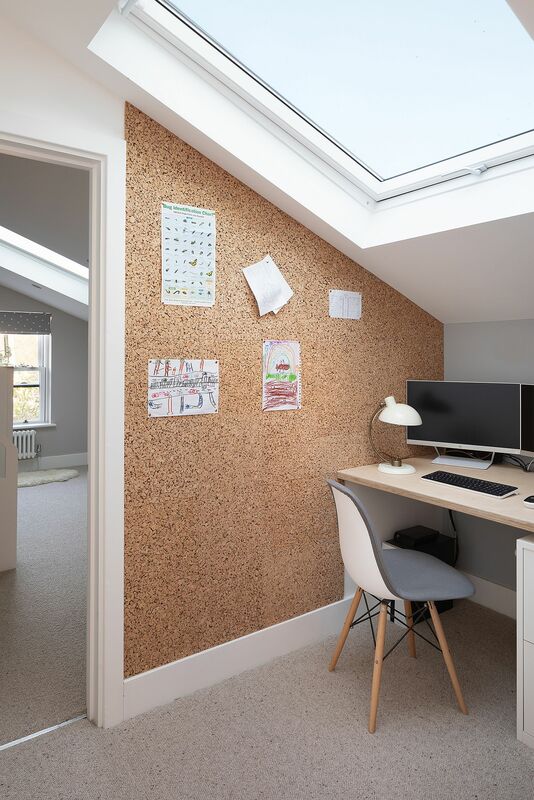 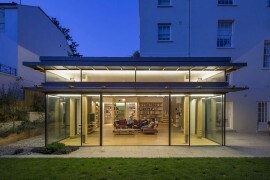 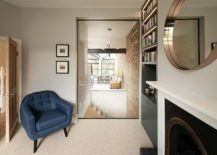 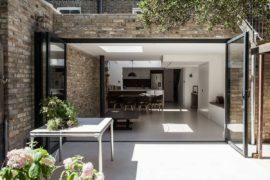 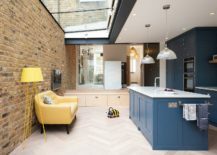 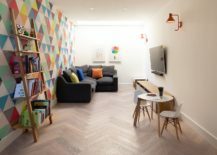 Space and ventilation are often the two biggest issues that force homeowners to opt for a renovation and that is the case with the small and modest Chivalry Road Residence in South West London as well. 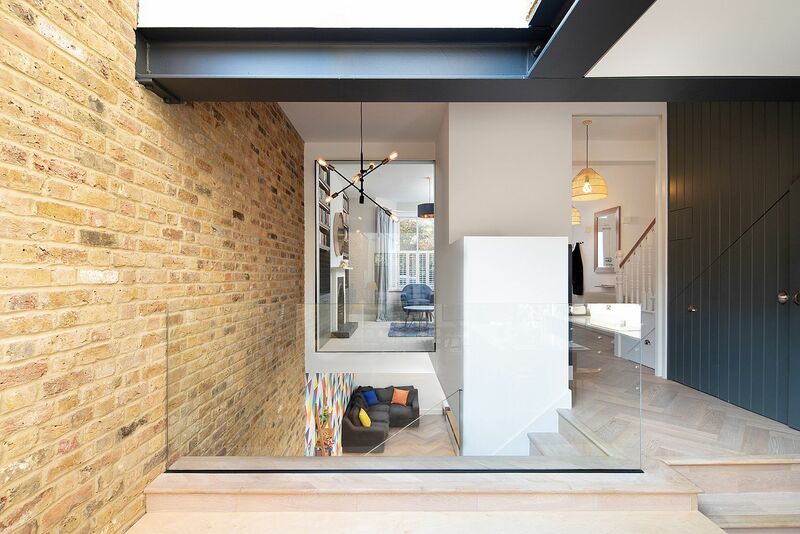 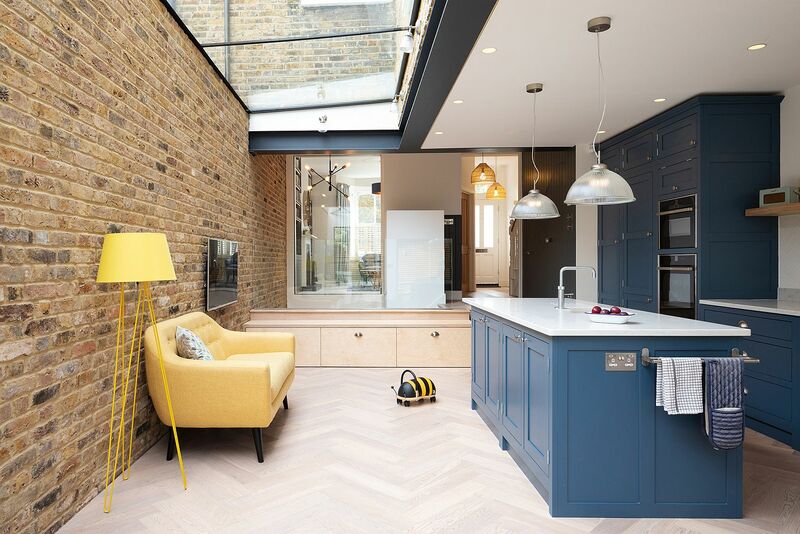 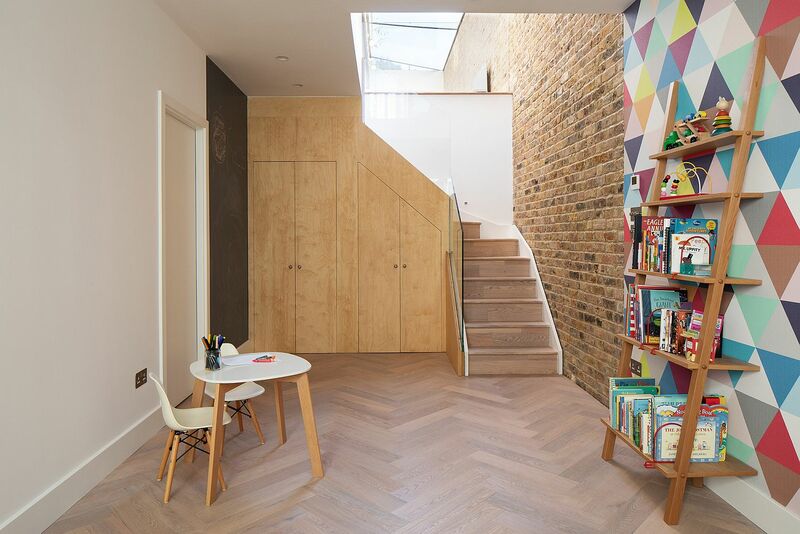 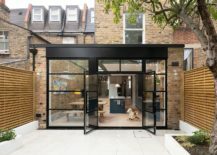 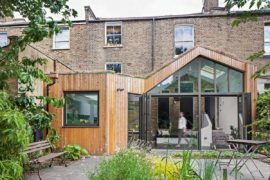 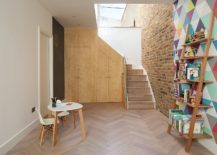 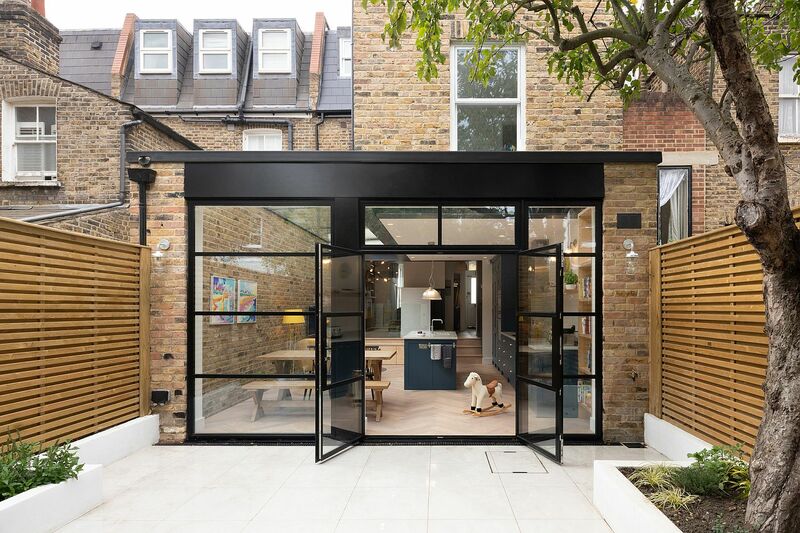 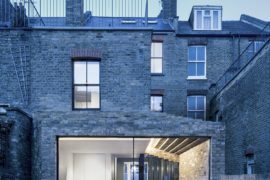 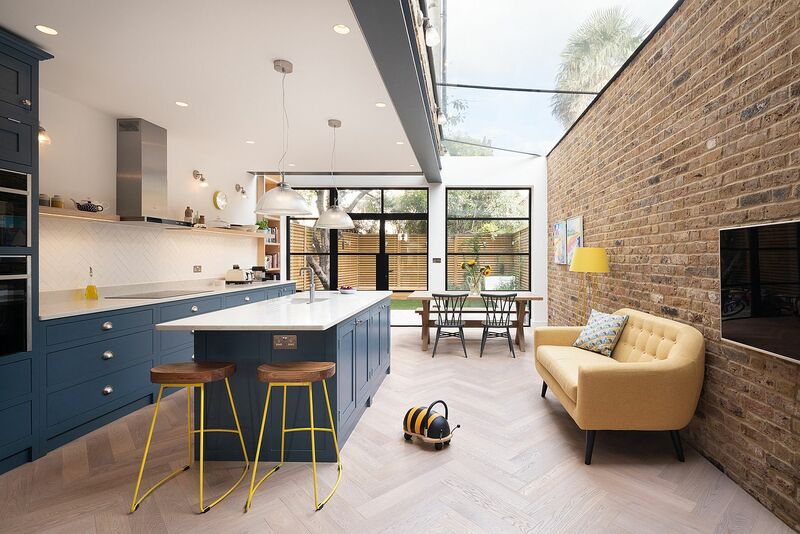 Revitalized and given a fresh, modern makeover by Sketch Architects this lovely gorgeous terraced home relies on a glass rear extension along with a change in floor plan that produced a more cheerful interior. 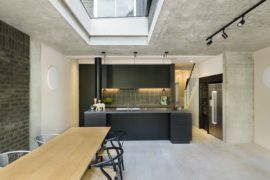 The obvious addition in the rear is an idea that is all too common in recent times and it now holds the new kitchen and dining space along with a smart social zone. 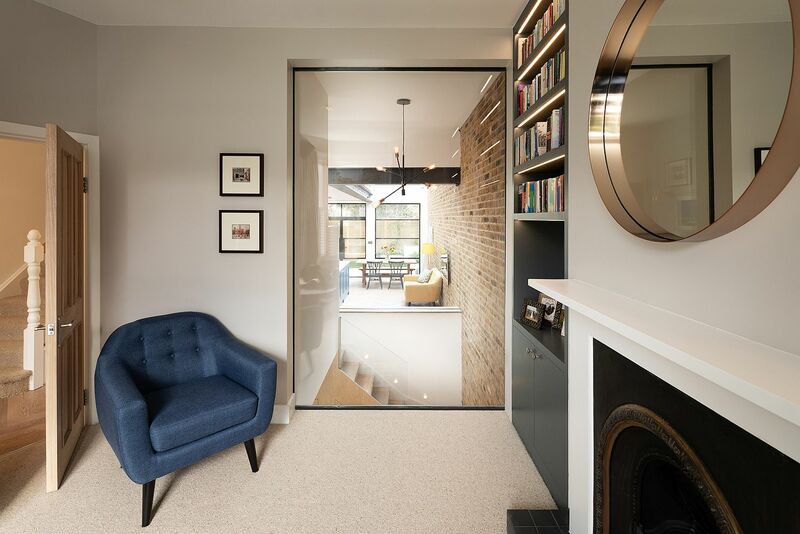 One notices a wonderful blend of textures and finishes here with steel, glass and brick finding space next to one another. 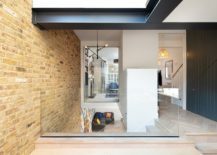 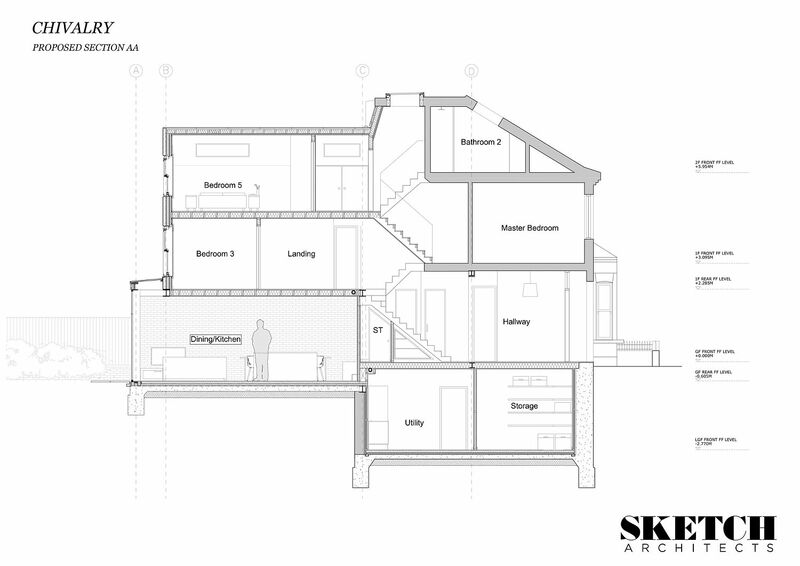 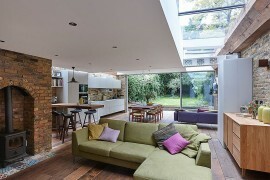 The brief presented to Sketch Architects asked that the available space within this small terraced house was maximized. 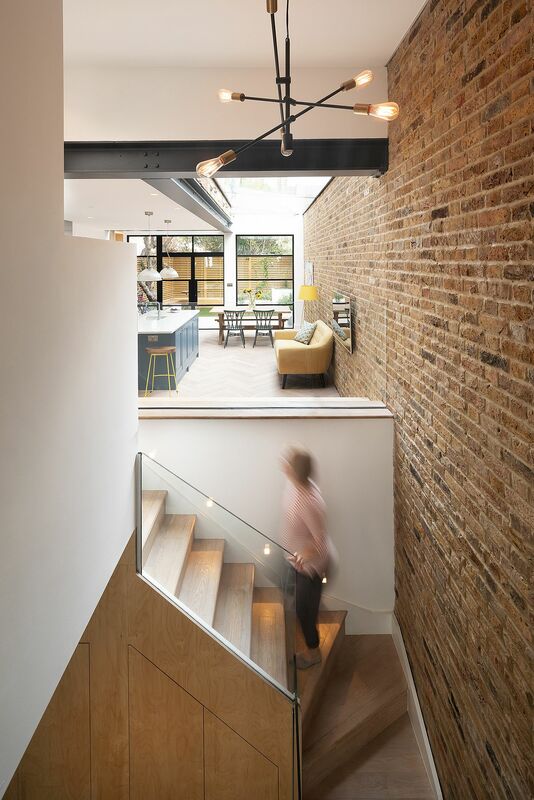 The existing building had already been extended with a partial side return, but each space was very separate from the next and the layout wasn’t working for the young family who lived there. 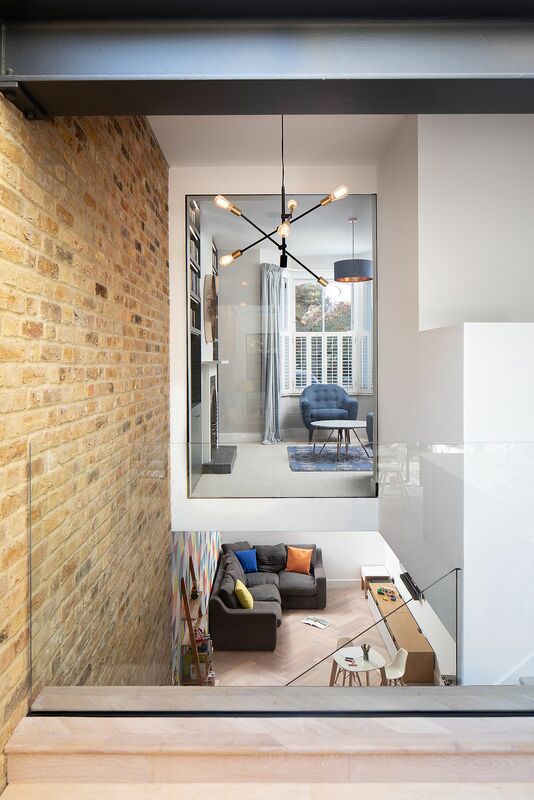 Each small space felt disconnected from the next.